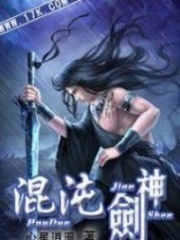 You’re reading novel Chaotic Sword God Chapter 1888 online at LightNovelFree.com. Please use the follow button to get notification about the latest chapter next time when you visit LightNovelFree.com. Use F11 button to read novel in full-screen(PC only). Drop by anytime you want to read free – fast – latest novel. It’s great if you could leave a comment, share your opinion about the new chapters, new novel with others on the internet. We’ll do our best to bring you the finest, latest novel everyday. Enjoy! Jian Chen returned to the Tian Yuan clan and immediately entered a secret room. With a wave of his hand, the crystal casket flew out of the Bright Moon Divine Hall. The fist-sized Seven-colored Heaven-devouring Beast lied on the crystal casket. However, it was different from before. It was not cultivating. Instead, it stared at Kai Ya's face. Its intelligent eyes were rather doubtful. At the same time, it was filled with antic.i.p.ation. In reality, it had been like that for a very long time already. Ever since Jian Chen fought the G.o.dking in the Yin Mountains of Sevens Despair, it had been like that. Naturally, Jian Chen paid no mind to the Seven-colored Heaven-devouring Beast's abnormality. He arrived before the crystal casket and slowly lifted the lid. He also activated the formations around the room. Only after doing all that did he take out the Alb.u.mstone Heart Flower and the Voidcloud Flower he obtained from within the Yin Mountains of Sevens Despair. Instantly, a heavy fragrance permeated the surroundings. Just a single breath was enough to clear the mind and make people feel extremely comfortable. The fragrance had been firmly isolated within the tiny room and did not drift out. Otherwise, the fragrance would have spread across the entire provincial city in an extremely short amount of time. After all, this was a Voidcloud Flower that had reached G.o.d Tier. The eyes of the Seven-colored Heaven-devouring Beast immediately lit up. 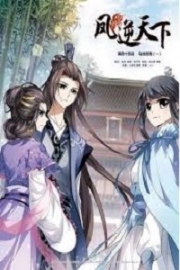 It finally looked away from Kai Ya and stared at the two flowers in Jian Chen's hands. It became excited as it revolved around Jian Chen happily while buzzing its wings. It was as if it was already certain that Jian Chen would be able to wake up Kai Ya this time. Jian Chen hesitated slightly with the two heavenly resources before he finally decided to use the Alb.u.mstone Heart Flower first. If the flower could awaken Kai Ya, he would be able to save a G.o.d Tier heavenly resource. Very soon, Jian Chen fed the flower into Kai Ya's mouth. Instantly, it turned into a ball of energy that gathered towards Kai Ya's soul. Jian Chen stared at Kai Ya without blinking at all. Deep concern flooded his face, along with some antic.i.p.ation. Time pa.s.sed silently. Very soon, it had already been four hours since Kai Ya ingested the Alb.u.mstone Heart Flower. She still had not roused. "Looks like I won't be able to save the Voidcloud Flower," Jian Chen thought before feeding the G.o.d Tier heavenly resource into Kai Ya's mouth without any hesitation. He could not help but think to himself, "You're clearly just a Saint Emperor, but you need so many heavenly resources for your soul. This is the first time I've ever seen something so weird." "However, the Voidcloud Flower is a heavenly resource at the highest grade I have ever obtained. If that doesn't work, I'm really out of options." "Kai Ya, you have got to wake up…"
Jian Chen was eager. He and the Seven-colored Heaven-devouring Beast currently paid complete attention to Kai Ya. However, at this moment, Jian Chen's expression changed. The jade talisman with a sliver of the power from his soul he had originally left in the Tian Yuan clan had shattered. Jian Chen's expression changed slightly. Now that the talisman had shattered, it meant that the Tian Yuan clan faced a huge threat. The threat was so great that it could directly affect the survival of the clan. Jian Chen immediately turned around and left. He appeared in the clan and directly charged for the discussion hall. All the elders had already gathered in the discussion hall. They sat on their seats sternly, causing the atmosphere in the entire hall to be rather heavy. "What has happened?" Jian Chen sat down on his throne and asked sternly. "Patriarch, the Divine Kingdom of Three Cauldrons was devastated three days ago. Two of their three G.o.dkings were killed by the commander of the ninth army, with only the divine king escaping with wounds." "However, just then, we received news that the seventh and eighth armies of the Empyrean Demon Cult have been mobilised together. They're currently meeting up with the ninth army, and they're directly heading towards our Divine Kingdom of Pingtian," Mo Ling stood up and said sternly. Jian Chen stood up from the patriarch's throne. The light in his eyes flickered with uncertainty, and he said sternly, "This matter is probably far more complicated than it seems for three armies of the Empyrean Demon Cult to be mobilised together. It probably has nothing to do with the three OverG.o.ds I killed a few days ago. Three OverG.o.ds aren't enough for the Empyrean Demon Cult to send three armies." At this moment, a guard rushed in. He dropped to one knee and called out, "Patriarch, special messengers from the royal capital are currently waiting outside." "Let them in," said Jian Chen. Very soon, a few G.o.ds hurried in from the outside sternly. They were special messengers from the royal capital who especially carried the divine king's words, so their statuses were great. However, after they entered the Tian Yuan clan, all of them concealed their arrogance. The special messengers bowed towards Jian Chen politely. Afterwards, one of them said extremely politely, "Esteemed patriarch of the Tian Yuan clan, we have come under orders from his majesty to ask the patriarch to visit the royal capital and discuss important matters." "I understand. When you return, please tell his majesty that I will arrive soon," Jian Chen said to the special messengers. While Jian Chen was discussing important matters with the upper echelon of the Tian Yuan clan, Kai Ya's eyelashes began to tremble once again in the formation-ridden room. The trembling was unlike last time, which had only lasted for a single moment. Instead, it continued to tremble, trembling more and more intensely as if she was trying very hard to open her eyes. Naturally, the Seven-colored Heaven-devouring Beast sensed this, as it had always been paying attention to Kai Ya. It cried out happily and constantly revolved around the crystal casket. It was in high spirits. Finally, Kai Ya opened her eyes slowly. What kind of eyes were they? If Jian Chen saw Kai Ya's eyes, he definitely would have doubted whether the person before him was Kai Ya or not. This was because the eyes were cold and merciless. They were terrifyingly frigid as if she did not possess any emotion at all. Inside, there was even indifference towards life. It was like an invincible, supreme ruler that controlled the universe looking down at the lives in the world, viewing them all as ants. The Seven-colored Heaven-devouring Beast stopped flying. It remained in the same position as before, except an invisible energy had frozen it in s.p.a.ce and completely immobilised it. The origin energy and the ripples in s.p.a.ce within the room were frozen as well. At that moment, the time in the secret room where Kai Ya stayed seemed to have come to a stop. Everything stopped changing as if the scene had become frozen for eternity. At the same time, in outer s.p.a.ce beyond the tremendous Cloud Plane, far beyond the range of what G.o.dhood experts could sense, extremely terrifying laws silently condensed. The laws were so powerful that they seemed to be able to replace the laws of the world and represent the will of the world. As a matter of fact, its appearance formed a huge disturbance to all three thousand laws of the world. All the ancient existences in the super organisations within the five regions of the Cloud Plane roused from their cultivation. They raised their heads towards outer s.p.a.ce as shock filled their faces. You're reading novel Chaotic Sword God Chapter 1888 online at LightNovelFree.com. You can use the follow function to bookmark your favorite novel ( Only for registered users ). If you find any errors ( broken links, can't load photos, etc.. ), Please let us know so we can fix it as soon as possible. And when you start a conversation or debate about a certain topic with other people, please do not offend them just because you don't like their opinions. You're reading Chaotic Sword God Chapter 1888. This novel has been translated by Updating. 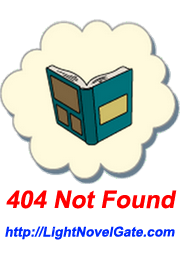 Author: Xin Xing Xiao Yao already has 1142 views. Current Time is Apr-23-2019 00:10:52 AM.